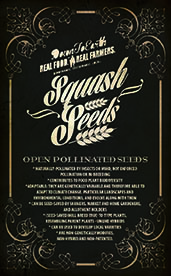 Open Pollinated or Heirloom Seeds: Now Available | Our Farm by Earth Flora Inc.
Open-Pollinated, from True Seed. Open pollinated means the plants are pollinated naturally, by insects, birds, the wind. 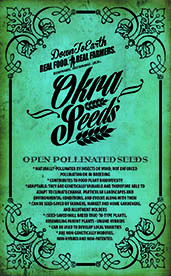 Plants that grow from open pollinated seeds will give you seeds that will again produce new generations of the same plants. 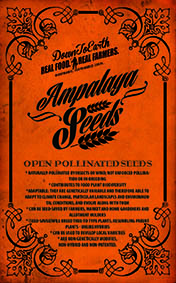 These seeds are untreated and free of pesticides. 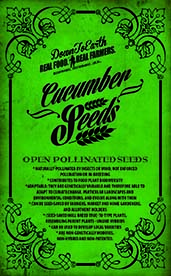 They are also not genetically-modified. 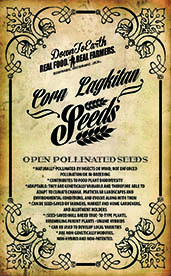 An heirloom seed is one that has been passed down from generation to generation, usually for over 50 years. 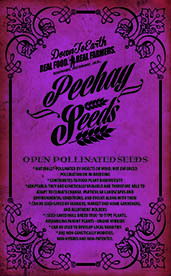 We are making available these seeds so you can plant and sow them, save seeds and hopefully, grow them so we can keep seeding the planet.